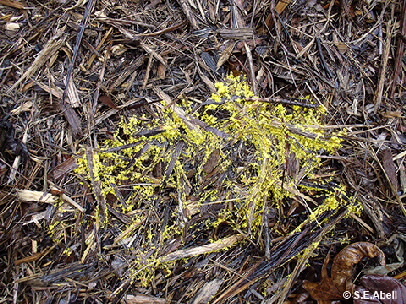 The fruiting body of this slime mould is slimy and sticky and the surface is bright yellow. Spores are also initially yellowish but mature to a deep violet colour. Found in patches on garden mulch and on leaf litter.